Our KLJF Screw Type Dewatering Device is a revolutionary product and has been widely used in wastewater treatment facilities. 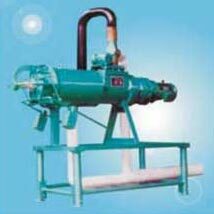 It has a hanging piper structure; the dewatering device body is fabricated using stainless steel. There’s a sieve net in the body that filters the water extracted from material fed inside and the solid material is segregated by extrusion process.